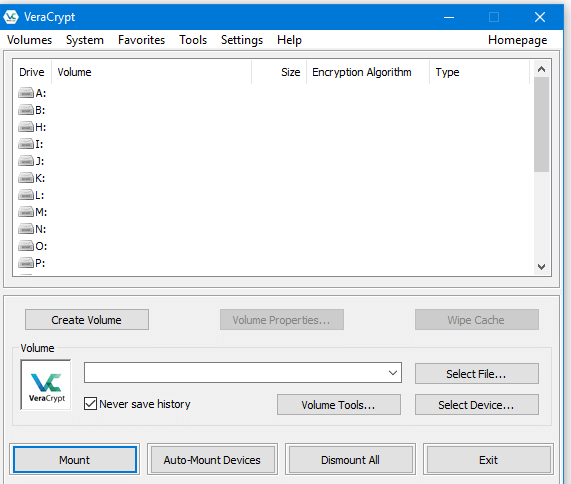 Download Link : https://veracrypt.codeplex.com/ Download and install the software. 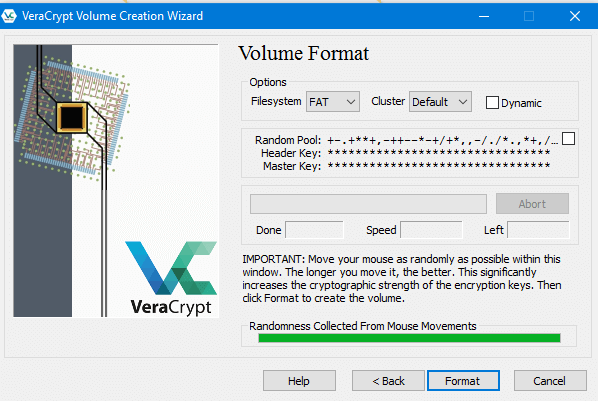 Step 1: Go to Volumes > Create New Volume > Create an encrypted file container > Standard VeraCrypt Volume > Then click on select file and save your container file with your desired name. Here in this file, we are going to store your files and folders. Then click on save. 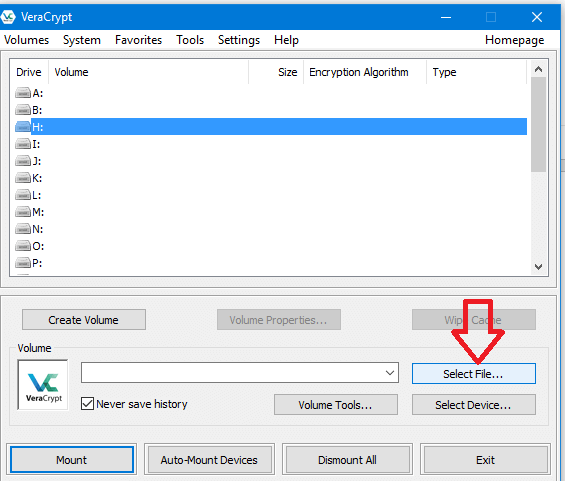 Choose your encryption algorithm (Use AES) then click on next. Now you can specify the size of the file and then click next. 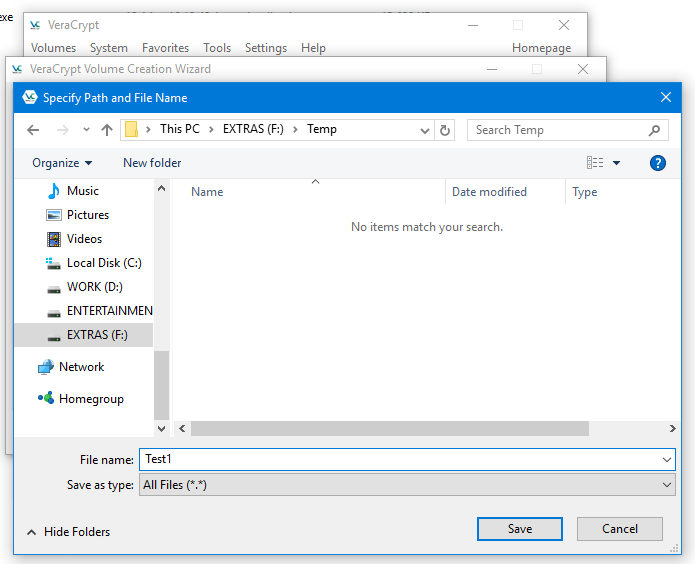 Then select the file system(use FAT as default), and move your mouse pointer in the window area. Once the Randomness bar reaches full green as shown in the pic, click on format. Once the format is completed click exit. Now the file is ready. We have to mount it now to store our files and folders. Step 2: In the main window click on any one of the drives and then click on select file and select the file you have just created. Once the file is selected, click on Mount option and the file will be mounted as a removable drive on your computer within a few seconds. 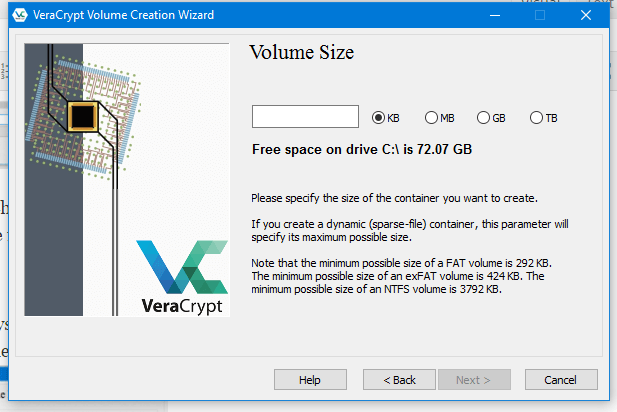 Next time you want to access the files, just follow the step 2 and the file you created can be transported to any system and can be used, provided the VeraCrypt is installed on the system. Just like pen drive, the file can be mounted and dismounted using the password.